For 2008, the Federal Highway Administration remains committed to the principles and vision of the Highways for LIFE program, and will, in fact, add more features focusing on where the program has had most success: sharing and promoting innovation. "The Highways for LIFE program has staying power and is essential to making a difference in America's driving experience,” said FHWA Associate Administrator King Gee. The HfL program will continue technology transfer efforts, including support of ongoing programs on road safety audits, making work zones work better and prefabricated bridge elements and systems. A new technology transfer effort will highlight the benefits and applications of prefabricated concrete pavement panels. Also, a Web-based information exchange, scheduled for beta testing this summer, will provide a mechanism for exchanging lessons learned and best practices on prefabricated bridge elements and systems. FHWA will also continue its "Seeking the Best Solutions” workshops, which show participants how to use innovations and performance goals to deliver projects better, faster, more safely and at less cost. In addition, the HfL team will promote innovation through displays and presentations at transportation-related meetings throughout the year, as well as through the Innovator newsletter. 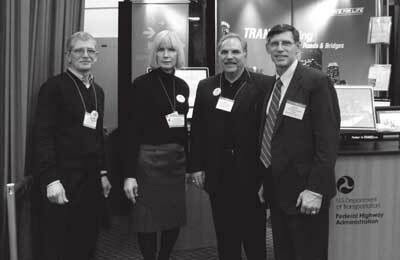 J. Richard Capka (far right), then-Federal Highway Administrator, stopped by the Highways for LIFE booth at the Transportation Research Board Annual Meeting in Washington, D.C., in January to talk with (left to right) Charles Churilla, HfL consultant; Kathleen Bergeron, HfL program coordinator; and Gary Hoffman, HfL consultant. Capka resigned in February after more than five years of service with FHWA. FHWA plans to offer states resources and technical assistance to facilitate implementation of performance contracting for construction, an approach in which performance goals instead of construction methods are specified and the contractor is responsible for achieving those goals. FHWA is seeking up to six states to pilot the implementation framework. Highway agencies will be encouraged to participate in testing of innovations selected under the HfL Technology Partnerships Program. FHWA has awarded grants to five companies to help them refine technologies that have the potential to reduce congestion and improve highway quality and safety (see "Prototype Technologies Set for Real-World Tests” in this issue). The 16 projects awarded HfL grants in 2006 and 2007 will be used as platforms for educational showcases that feature each project's innovations and bring transportation professionals together to learn about their benefits. Although FHWA cannot now award monetary incentives for additional projects, the agency will still offer states a waive match option. Under this approach, states may request an increase in the federal share of funding on the project from other federal-aid funds, resulting in an up to 100 percent federally funded project. John Njord, executive director of the Utah Department of Transportation since 2001, leads the team responsible for designing, constructing, maintaining and operating the state's highway system. 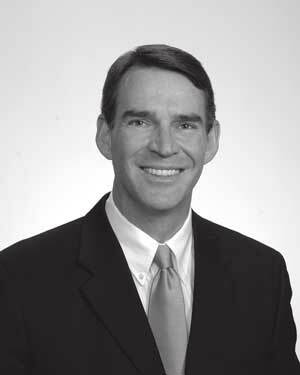 Njord is past president of the American Association of State Highway and Transportation Officials and past chair of the Transportation Research Board Executive Committee. He talked with Innovator about UDOT's experience with adopting and mainstreaming innovation. Why is innovation important to UDOT's success? Innovation is important to the customers we serve. Transportation is an industry that is fraught with challenges. The processes we go through to deliver our products are very cumbersome and difficult. And that's frustrating for our customers. So being innovative means we're finding ways to deliver our products more rapidly, more efficiently, with better quality and at less cost. Those are all things that are interesting to our customers and that's why we're interested in innovation. How do you encourage an innovative mind-set among DOT staff? We have a saying here at UDOT: "The best way to do something is yet to be found.” That means there's always a better way to do something we're trying to accomplish and we encourage employees to find those better ways. Over the last few years, we've really focused on delivering projects faster, yet we've been faced with the opportunity and challenge of having a lot more projects than we've ever had before and the same number of people to accomplish them. So finding opportunities to change to meet that challenge is something we've worked very hard on. You also have to create an environment where folks feel like they can flourish. It's like planting seeds in a bucket of mud. You're not going to get any plants out of that. But if you plant in an environment where they can flourish, they will. Our philosophy is that employees come to us with all sorts of skills and talents, but they need to be discovered. If you just give them a recipe book and say, “This is how you do it. Don't step out of line. Go get it done,” there's no innovation there. You've got to create a trusting environment where they feel like they can take a risk and it's okay to do that. 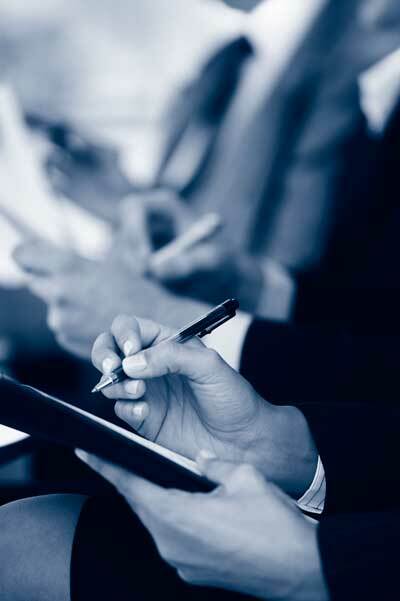 How do you encourage your contracting partners to innovate? We're fortunate in Utah to work with some very innovative contractors. I don't believe contractors go into the business of building highways because they like to do what they're told. They have a tremendous amount of innovation locked up within them. It's like my old farmer friends used to say: “If you want the horses to run free, you've got to knock down the fences.” If we want our contractors to run free and to deliver products that we want using innovation, we have to knock down some fences. Traditionally, we were prescriptive in the way we asked contractors to do work for us. Rather than describe to them what we wanted as an end product, we told them how to build it. When you release them from the corral, you're saying “Give me this end product. I don't care how you get there. But this is the quality I want, this is the schedule I need, and this is the price I'm going to pay.” You've released the creative juices within those contractors to find the most innovative way to deliver the product in a quality and timely fashion. How do you adopt and mainstream innovations? We have a centralized portion of our organization that focuses on it, the Project Development Group. Their primary strategic goal is to be leaders in innovative practices. They cherry-pick the very best ideas from everywhere around the world and bring them to Utah. They refine them if they can and then implement them in ways that make our processes work faster. They've also established performance measurements, and they measure themselves every year. How do you communicate with the public about innovation and how it can improve their driving experience? Reaching out to the public is very important to us because we want them to understand what we're trying to accomplish. We've found that the best way to communicate with them is through the media. Innovation in and of itself is newsworthy. It creates an opportunity for the media to report on what we're trying to accomplish. A good example is a project we recently completed in which we replaced a bridge in 36 hours. To engage the media's interest we did something a little bit different. We created a DVD with an animation showing how we were going to build the bridge on the side of the road, pick it up with self-propelled modular transporters, move it into place and set it on new abutments. It generated tremendous public interest to the point that during the 36 hours that the project was under way we had people surrounding the entire interchange. They brought chairs and picnic tables and sat there and watched. Two television stations had helicopters there. They did time-lapse photography and live reports on what was going on. It was a complete circus. But the reason they were interested was the innovation part of this thing. Rather than impact the public for months on end with a normal bridge replacement project, we impacted them for 36 hours and it was done. That resonated with the media and the public. What innovations that UDOT has adopted stand out? In the contract delivery side of our work, we've introduced innovations that have changed the way we deliver our products. 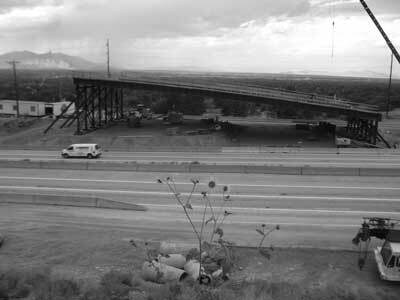 Back in 1997 we launched arguably the first and one of the most successful design-build projects in this country-reconstruction of 17 miles of Interstate 15 in Salt Lake County in time for the 2002 Winter Olympic Games. We accelerated the process of delivering that project by six to eight years by using design-build. By delivering the $1.6 billion project in one design-build contract, it was done in four-and-a-half years. Since then, we've built another 16 design-build projects. We've also introduced a new contract delivery method called CMGC, or construction manager/general contractor. It's similar to design-build, with a refined risk allocation process. We've got six of those under way and 24 more in the wings. What these contracting methods enable us to do is to shorten the impact on our customers. When we roll out the construction barrels, what that means to our customers is “I'm being punished. I will be punished on my daily commute for some period of time.” If we tell them it's going to be years or decades, they can't deal with it. But if we can shorten that time to months or hours, they can. How has innovation paid off for UDOT? When we innovate, we find that the public develops a level of trust in the department of transportation. Their trust in our ability to deliver the projects they desperately want translates directly into dollars and cents. Over the last seven years, we have seen a dramatic increase in the amount of resources provided to us to deliver projects. And the reason the public, the governor and the legislature are willing to give us additional resources is that they trust the work we're doing and they know that we're innovative. We now receive more discretionary funds from lawmakers than we receive from our dedicated gas tax. Every year the legislature has the discretion to give funding to us or not, and they give it to us because they love our product and want more of it. What have you learned about using innovation? In developing an agency that's ready to innovate, you need people who are willing to follow you, but who are also capable of leading change themselves. That combination creates a team of people who will follow you where you are going, but who are strong enough to question you along the way. Once you have that combination of leadership in place, you can create an environment where people feel like they can take risks and express ideas. They can accomplish great things and ultimately make a difference. To learn more about the Utah DOT, go to www.udot.utah.gov. To read about the Highways for LIFE project to replace a Salt Lake City bridge in a weekend, see the December Innovator at www.fhwa.dot.gov/innovation/innovator/issue04/. The all-weather pavement marking system (top photo) makes it easier for drivers to navigate wet roads than conventional markings (bottom photo). The Federal Highway Administration is seeking state and local transportation agencies to put five innovations designed to cut congestion and boost highway quality and safety to the test in real-world settings. The innovations were chosen under the Highways for LIFE Technology Partnerships Program, which awarded grants of $200,000 to $500,000 to help companies refine technologies now at the prototype stage in partnership with transportation agencies. The Technology Partnerships Program selected the grant recipients from a pool of 55 proposals. Innovations considered for awards must make a significant contribution to achieving at least one Highways for LIFE goal: improving project or work zone safety, reducing construction congestion, accelerating construction or enhancing quality. 3M Company will use its grant to adapt its all-weather pavement marking system to make it cost effective for temporary use in work zones. Conventional pavement markings are hard to see on wet roads, an especially hazardous situation in work zones where lane shifts are common. 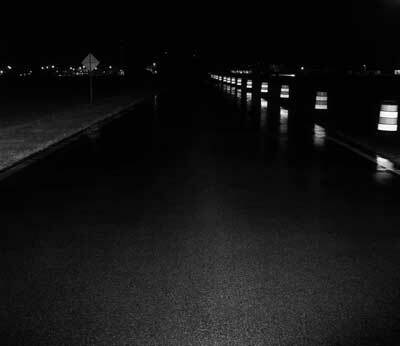 The 3M system incorporates specially designed wet-reflective optical materials into the pavement markings that make it easier for drivers to see markings on wet roads and drive safely through work zones. 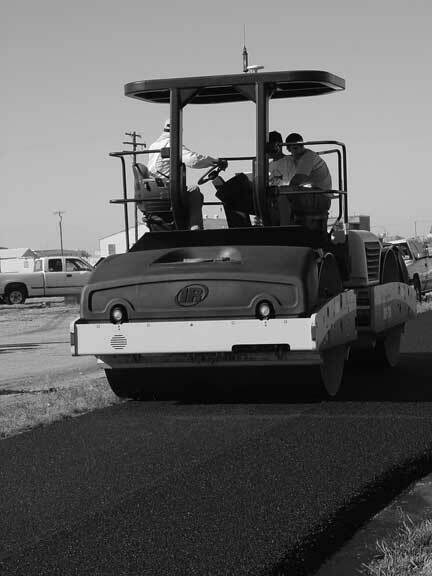 Improper compaction during construction is a leading cause of asphalt pavement degradation. Haskell Lemon Construction Company will develop its prototype intelligent asphalt compaction analyzer, which provides real-time compaction data so inconsistencies can be remedied while the asphalt is still pliable. The goal is to replace the time-consuming manual process now used, reducing construction time and creating longer-lasting pavements. The automated pavement marker placement system automates the installation of raised pavement markers on roadways. 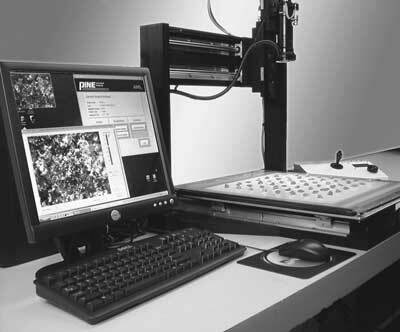 Pine Instrument Company will develop its aggregate imaging system technology, which accurately and rapidly assesses the characteristics of hot-mix asphalt, hydraulic cement concrete and other aggregate paving materials. 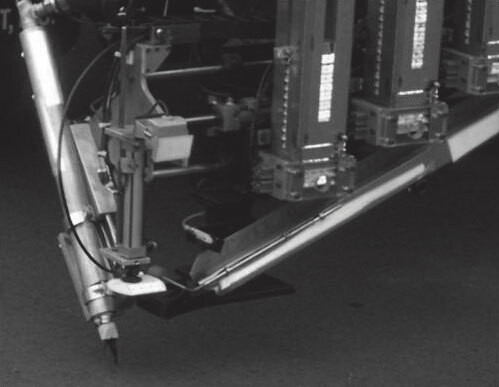 The system automates the process of measuring aggregate characteristics such as shape, texture and ratio that affect the durability and skid resistance of pavement surfaces. Raised pavement marker application, now done manually, can be a time-consuming and dangerous process. 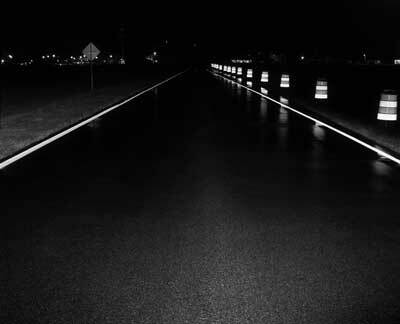 Stay Alert Safety Services, Inc. will modify its prototype automated pavement marker placement system, which automates the process of removing and replacing reflective markers on roads. Initial tests on the prototype, which can be mounted on standard equipment, found that it cut labor hours, construction time and risk of worker injury. 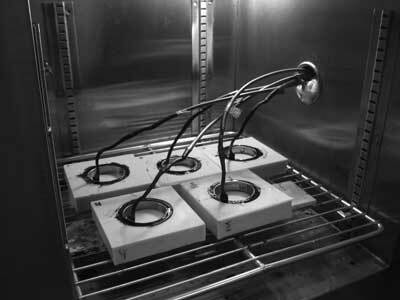 EZ Asphalt Technology LLC will refine its asphalt binder cracking device, which uses a simple, reliable method to determine the low-temperature performance of binders used in asphalt. 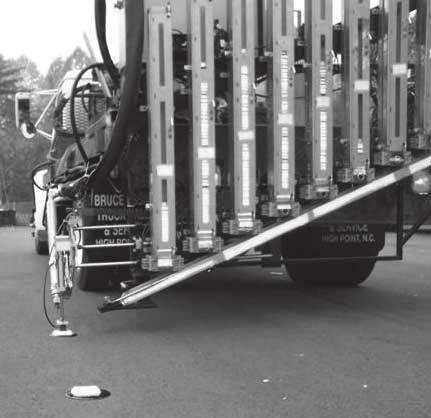 The device will help industry predict and prevent asphalt failure due to cracking at low temperatures, extending the life of pavements and reducing the need for repairs. To participate in testing and evaluation of the projects, contact Julie Zirlin at (202) 366-9105 or Julie.Zirlin@dot.gov. To view presentations and videos on how the technologies work and to sign up for e-mail notification of the projects' progress, visit www.fhwa.dot.gov/hfl/partnerships. By relining highway culverts in place, the Montana Department of Transportation expects to reduce lane closure times by 75 percent and eliminate the need to disturb the roadway during an upcoming project near Helena, Mont. Relining will also reduce environmental impact and produce a more durable culvert. For its use of the innovative lining technologies, the $1.7 million project will receive a grant from the Highways for LIFE program. Sponsored by the Federal Highway Administration, HfL aims to encourage innovation, safety and speed of construction. Ten culverts will get new linings between June and November 2008 on just over 8 miles (12.8 kilometers) of US-12. The four-lane road traverses extremely steep terrain and is in snow from November to March. Runoff from the heavy sanding required on the road for safety has plugged these culverts, and the corrugated metal culverts themselves are badly corroded. 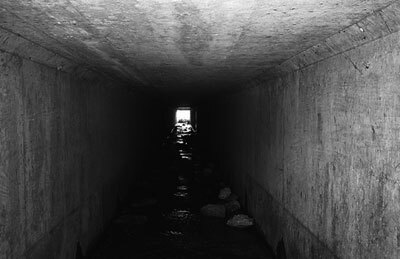 The Montana DOT will rehabilitate the culverts using two innovative technologies. Five will be cleared of sedimentation by directional drilling and “sliplined” with a high-density polyethylene (HDPE) pipe liner. The other five will get a cured-in-place polymer liner, the first use of this technology by the Montana DOT. After the culverts are cleared of debris by high-velocity jet water cleaning, a polyester, felt-like material resembling a long hose and impregnated with thermoset resin will be laid through the culvert. Air pressure will be used to inflate the material against the walls of the culvert. Heated with an air-steam mixture and cooled with air, the final product will be a structure as strong as or stronger than a stand-alone corrugated pipe. Using both of these methods will allow the Montana DOT to gather data on their relative benefits in terms of installation, cost, durability and other variables. The Montana DOT expects the liner technologies to greatly reduce traffic disruption over the conventional cut-and-cover approach. At most, one of the four lanes is closed and the road is undisturbed during construction. Cut-and-cover, by contrast, requires the closure of two lanes during construction. And with the total replacement process, removing and replacing the old pipe almost always produces a slight bump or dip in the backfilling process. A smooth surface is doubly important for snowplow blades on a snowy, high-altitude pass. “We have a lot of culverts out there reaching the end of their service life, and if we can repair or replace them using technology that does not impact the roadway or traffic, it would certainly be beneficial,” said Ted Burch, program development engineer for FHWA's Montana Division. In addition to installing liners, the Montana DOT will improve the culverts by installing catch basins on the upstream side of the road, trapping sand from runoff so it does not flow through the pipe and harm the environment. Maintenance crews will empty the catch basins regularly during dry periods. The smoothness of the HDPE liner surface insures that the pipe will handle the runoff volume despite reducing the diameter of the culvert from the corrugated pipe's 24 inches to 18 inches (60.9 to 45.7 centimeters). The cured-in-place liner provides a smoother surface than the corrugated metal culvert and does so with almost no reduction of culvert diameter. What's more, the polymer liners will never corrode. The cost of lining the culverts, the Montana DOT estimates, is about the same as the cost of cut-and-cover replacement. Cost savings are anticipated in longer culvert life spans with less maintenance, as well as in reduced traffic control costs and traffic delays and improved safety during construction. For more information, contact Ted Burch at (406) 449-5302 or theodore.burch@dot.gov. Photograph showing a person taking notes in a training course. The West Virginia Department of Transportation recently hosted the first “Seeking the Best Solutions” workshop, a one-day meeting designed to help states set customer-focused goals and incorporate innovative solutions into highway projects. These new Highways for LIFE workshops assist state transportation departments in setting goals in four areas-safety, traffic congestion, quality and customer satisfaction. The workshop drew representatives from the West Virginia Department of Transportation, including Transportation Secretary Paul Mattox, Jr. and State Highway Engineer Marvin Murphy; the Federal Highway Administration's West Virginia Division, including Division Administrator Tom Smith; and West Virginia University. Hoffman and Mark Robinson of the consulting firm SAIC facilitated the workshop. At the workshop, stakeholders set goals and discussed plans for a new pedestrian bridge over a four-lane highway, Monongahela Boulevard, on the campus of West Virginia University in Morgantown. Each day, 6,000 to 8,000 students park on one side of the highway and walk across it at random locations, posing a safety risk. Innovation is needed, Hoffman said, to eliminate dangerous pedestrian-vehicle conflicts and to minimize traffic disruption during construction of the bridge over Monongahela Boulevard. The goal is to restrict construction to the time between May 15 and August 15, when most students are not on campus. Dr. Hota GangaRao, a professor at the university, is promoting the use of fiber-reinforced polymer deck panels for the new bridge. Such panels would be prefabricated, along with other structural elements for the bridge, and delivered to the site before May 15. On or shortly after that date, erection would begin. The university plans to make the bridge a signature structure and gateway for the campus. With the lane rental concept, the contractor essentially would have to “pay” more to close down lanes during busy traffic hours, but could have the lanes at little or no cost in off-peak hours, such as at night. In addition, a goal of having at least 80 percent of pedestrian traffic use the overpass bridge was also set. “Seeking the Best Solutions” workshops may lead to an application for a Highways for LIFE grant, but that is not a requirement, Hoffman said. Six more workshops are planned, including sessions in North Carolina, South Dakota, Texas and Massachusetts. To schedule a “Seeking the Best Solutions” workshop, contact Mary Huie at (202) 366-3039 or mary.huie@dot.gov or visit www.fhwa.dot.gov/hfl.